Discipline Your Mind – Connection! “You will keep in perfect peace him whose mind is steadfast, because he trusts in you” (Isaiah 26:3). An important discipline in personal prayer is the discipline of mind. You must learn how to relax without your mind shifting into neutral. Perhaps concentrating on a written prayer list will help with this discipline. Personal prayer includes listening as well as speaking to God. Therefore, your must discipline yourself to listen. 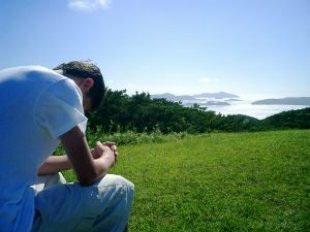 The Evangelical Missions Quarterly reported that out of 257 missionaries surveyed, sixty-six percent cited “mind wandering” during prayer as a frequent occurrence. Only one said it never happened to him. 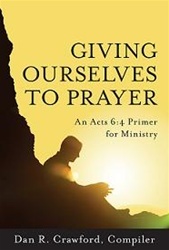 You and I must discipline our mind to concentrate on prayer in the private place at the private time. Gracious Father, in the busyness of my life, it is hard to keep my mind from wandering when I pray. Draw me close! Keep my mind fixed upon You and my ears attentive to Your voice. Help me to be patient with myself and to persevere until I am able to discipline my will to stay completely within Your own! Give praise to God as the Comforter, who feels deeply for those who have been mistreated and abandoned (Isa. 49:13). Thank him for calling many believers into compassionate ministries for the sake of those who are suffering. Confess those times when you may have withheld comfort from others who needed it. Commit yourself to receiving God’s encouragement and grace each morning and allowing that to flow through you to others. Ask God to fill you with the knowledge of his love, so that you may be filled with all the fullness of God (Eph. 3:19). Pray for those in your church’s neighborhood who have no family or friends to turn to. Ask that God will touch their lives through your calls, visits, and expressions of concern.